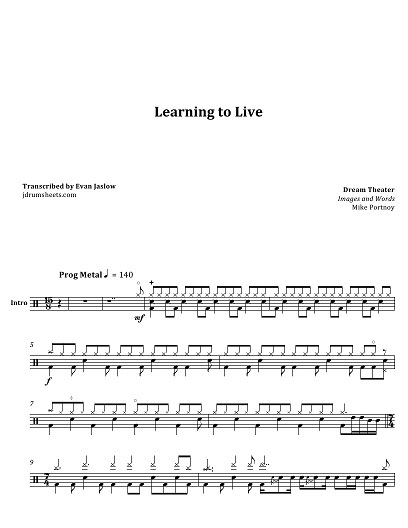 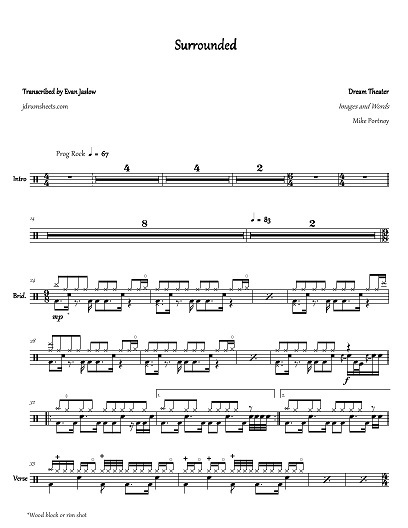 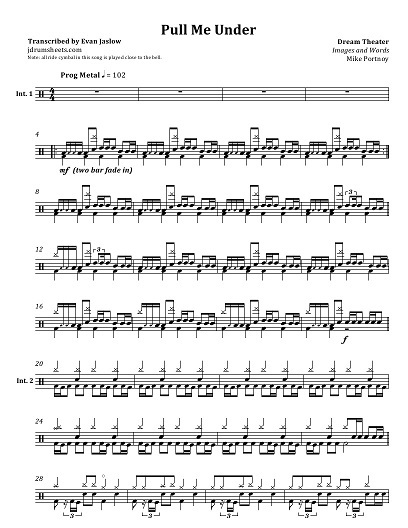 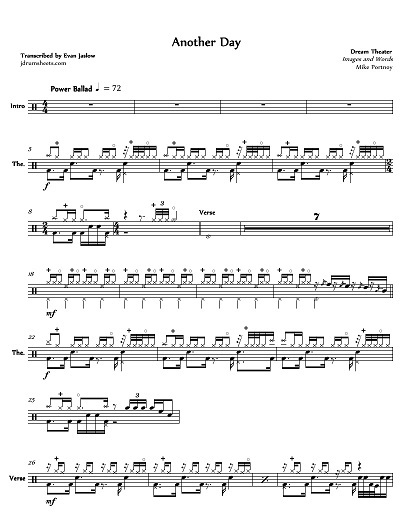 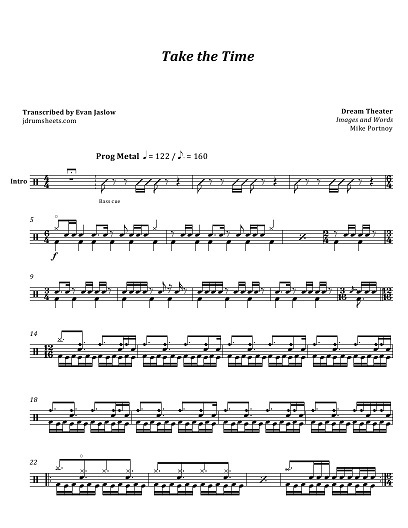 Full drum sheet music transcriptions for the entirely of Dream Theater's pioneering release Images and Words. 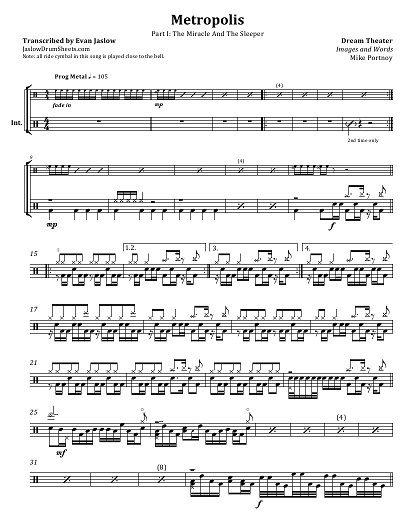 Meticulously proofread, neatly formatted, and including a notation key and transcription notes. 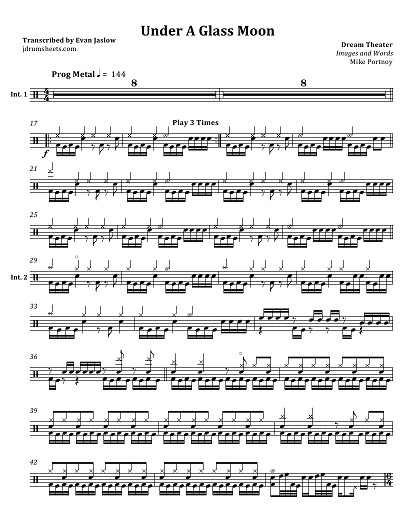 Difficulty 5/5.